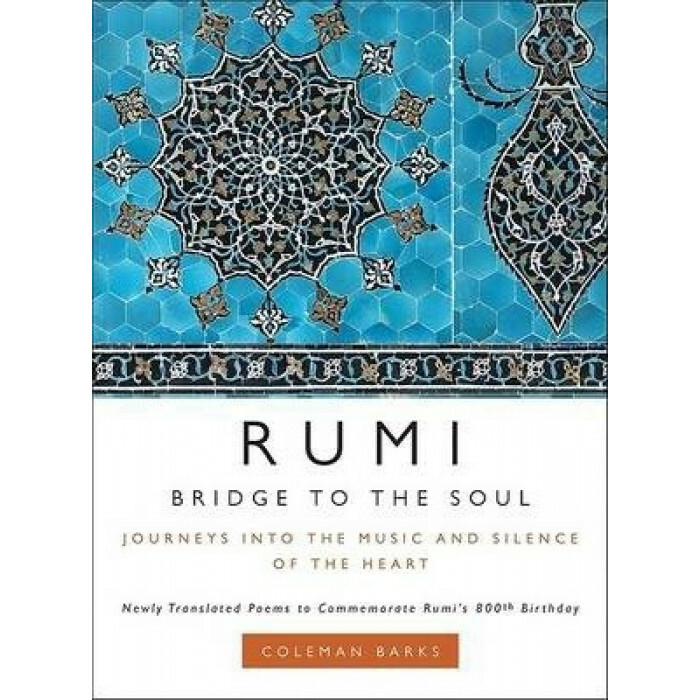 2007 is the "Year of Rumi," and who better than Coleman Barks, Rumi's unlikely, supremely passionate ambassador, to mark the milestone of this great poet's 800th birthday? Barks, who was recently awarded an honorary doctorate in Persian language and literature by the University of Tehran for his thirty years of translating Rumi, has collected and translated ninety new poems, most of them never published before in any form. The result is this beautiful edition titled Rumi: Bridge to the Soul. The "bridge" in the title is a reference to the Khajou Bridge in Isphahan, Iran, which Barks visited with Robert Bly in May of 2006-a trip that in many ways prompted this book. The "soul bridge" also suggests Rumi himself, who crosses cultures and religions and brings us all together to listen to his words, regardless of origin or creed. Open this book and let Rumi's poetry carry you into the interior silence and joy of the spirit, the place that unites conscious knowing with a deeper, more soulful understanding.